The Heriot Bay Inn & Marina is a historic bed & breakfast inn and resort located on Quadra Island - just a short ferry ride from Campbell River on the East Coast of Vancouver Island in the Discovery Passage of British Columbia. The Inn housed new residents and travelers to to Quadra Island and the area, and the wharf was once a major stop for Union Steamships. 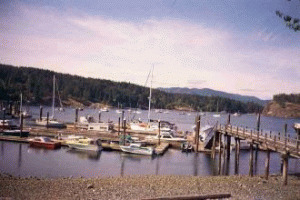 The Heriot Bay Inn has a full-service marina to serve you. Guest moorage on 1800 feet of dock with 15 and 30 amp power available. Open year-round, we sell gasoline, diesel, propane, & ice. Wine & beer offsales and take-out food are available in our sports pub. We have excellent water. 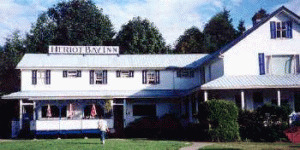 Over 100 years of old fashioned charm and hospitality are found at our Inn located on 5.3 acres of grassy & wooded ocean frontage. Please visit Heriot Bay Inn & Marina Website.